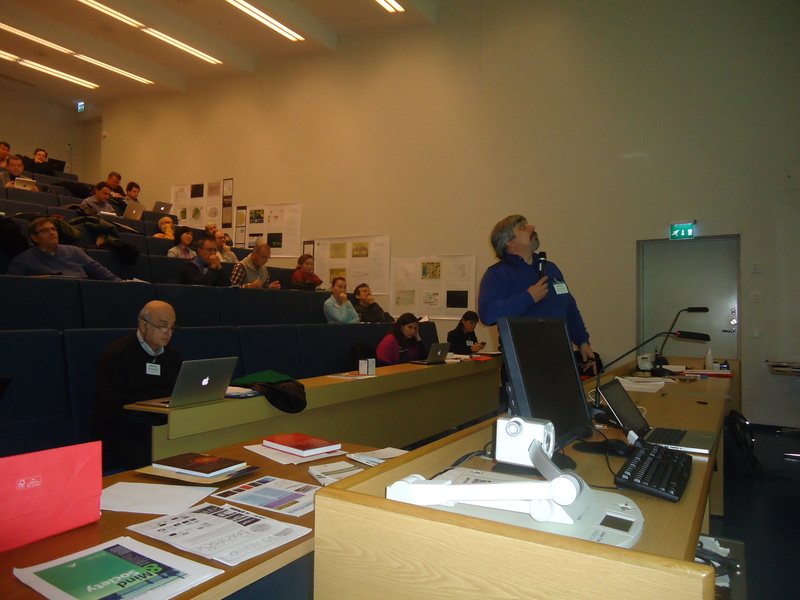 The First Annual Conference of KNOWeSCAPE (TD1210) has taken place from November the 18th till November the 20th, 2013, at Aalto University, Finland. It has gathered a crowd of over 50 participants, from over 20 different countries. The program consisted of three keynote talks, given by Prof. Cassidy Sugimoto (Indiana University, USA), Prof. Ginestra Bianconi (Queen Mary’s University of London, UK) and Dr. Martin White (Intranet Focus, UK) and 37 contributed talks. The latter were selected through an open call for contributions, which were reviewed by a Program Committee consisting of the member of the Management Committee of KNOWeSCAPE. The general attitude was to accept as many contributions as possible, if related to the topics covered by the Action. This is justified by the fact that COST Actions are meant to foster networking among scientists. Especially on this occasion, while the Action is at the beginning and many people gathered together for the first time, it was important to allow anyone to present their research interests and activities. In order to allocate all presentations in the two and half days of the event, we decided to give 30 minutes slots for the keynote talks, 20 minute slots for most other slots and to organize two Ignite Talks sessions, where speakers had just 5 minutes to go through a set of 20 slides previously sent to us, with a fixed time of 15 seconds per slide. This model is becoming more and more common in large conferences, especially in complex systems science, and is progressively replacing poster sessions. The idea is that this way people have a chance to address the audience, while posters may be overlooked. From the impressions we collected during the conference, the Ignite Talks have been well received, they represent an entertaining experience and a challenge to the speakers. 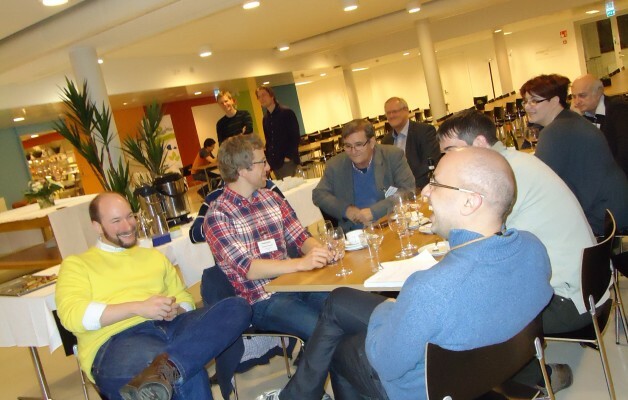 The main reason to go for short presentations was to avoid a heavy program and give a lot of time to participants to get to know each other and to interact as much as possible. Coffee breaks lasted 45 minutes, lunch breaks 2 hours. The conference was hosted in the auditorium of the Department of Biomedical Engineering and Computational Science (BECS) of Aalto University. Most participants stayed at the Radisson Blu Hotel in Espoo, which is conveniently located within walking distance from the conference venue. Staying at the same place was meant to offer further opportunities to the participants to interact. The scientific program was very diverse, I have personally never been at such a heterogeneous meeting, even though I work myself on interdisciplinary topics and I am used to meet and discuss with scholars with very different background than my own. There were physicists, computer scientists, information scientists, economists, experts in digital libraries. Topics ranged from scientometrics, especially citation and collaboration dynamics, to complex networks, information spreading, recommendation systems, human development, fraud detection, information maps, Wikipedia, chaos. Most speakers have made an effort to avoid technical details, in order to introduce the topic to scholars with very different expertise. We deliberately tried to avoid putting experts from the same scientific community in the same session, to avoid repelling people from different disciplines. Instead, each session was a mixture of people with different backgrounds talking about different subjects. We believe that the experiment was successful. 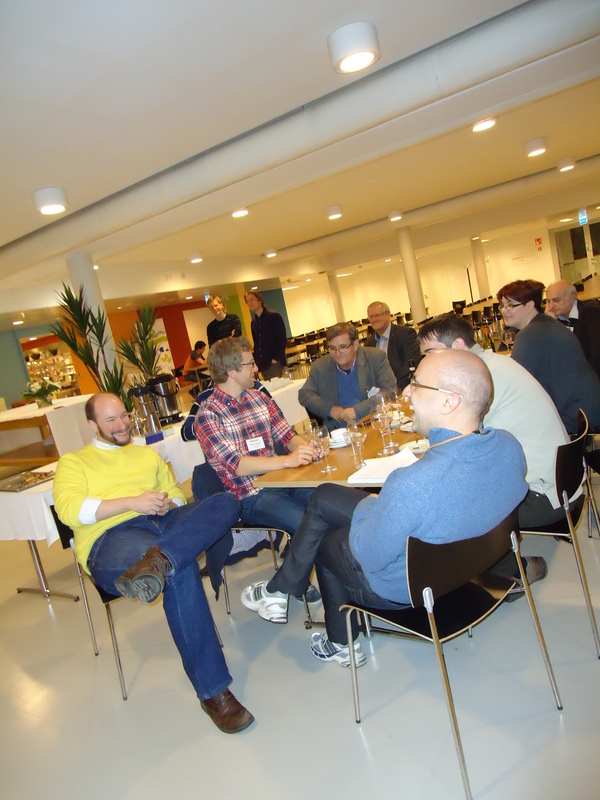 Overall, we think that the model of event we went for is suitable to guarantee wide participation and heavy networking. This was confirmed by feedback received by the participants during and after the conference. Nicolai Vitanov during his ignite talk – waiting for the slides to turn.